Jewish family, to develop the only Mikvah app of its kind for iPhone and Android. Three weeks ago, MikvahCalendar.com was the first automatic system to introduce a Pattern Calculation System for kavuah, a mathematic and computational feat. Known by its users as “the pink and purple Mikvah app,” both the website and smart phone application are accessible and simple to maneuver. Since its release as a website in 2009, then as an app in 2012, MikvahCalendar.com has functioned as a modern, user-friendly resource for couples endeavoring to follow the age-old Jewish laws of family purity. 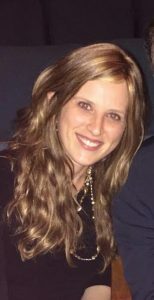 The website’s founder, Rivkah Bloom, is an Orthodox mother of five children living in Hollywood, FL. Bloom, along with another MIT graduate, who wishes to remain anonymous, created an innovative website utilizing principals of both design and utility, combined with the latest halachic guidelines. Working with Rabbonim from all sectors of the Jewish world to codify these laws into a programming framework, they have created a system that will automatically do the work for users. Rabbi Fischel Jacobs, the author of “Family Purity—Guide To Marital Fulfillment,” praises the new update. “Expanding to include these extremely complex areas of law, halacha, further establishes MikvahCalendar.com as one of our generation’s greatest Torah innovations,” he says. Since the website’s inception eight years ago, the founders have continually pushed themselves to find ways to make the site more user-friendly and technologically advanced. In its new update, MikvahCalendar.com utilizes unprecedented technology to solve for a complicated matter that even experienced rabbis grapple with, that of kavuah, regular patterns. 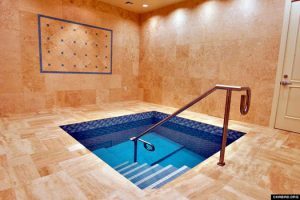 To fully observe the laws of Mikvah, it is necessary to detect regular patterns in the menstrual cycle and then use that information to calculate one’s next expected period. This is a confusing process when considering the possibility of simultaneous patterns, dormant patterns, active patterns, and uprooted patterns. Making matters even more complicated, life events such as pregnancy, birth, and nursing affect the calculations and need to be taken into consideration. Fifteen years ago, when Bloom was first married, she often heard people talking about how complicated and confusing it was to figure out dates of the anticipated cycle. They wished there was a calculator to plug in their information and figure it out and Bloom thought this was a brilliant idea. She and her partner started to work on it, contacting rabbis knowledgeable in the laws of Taharas Mishpachah. They initially released the online calendar only once they were absolutely sure it was totally correct, both according to halacha and in its programming (there have been other attempts, but Bloom says they’re the first ones to perfect it without glitches.) The partners discussed and properly thought through the computational algorithms, ensuring the simplest program for users, then thoroughly testing it through various scenarios to make sure the calculations were right. Indeed, everyone from rabbis, rebbetzins to computer scientists have compared it to their own calculations and no one has found a mistake. “There have been instances when people thought there were mistakes, but it has always turned out that it was the user’s miscalculation or incorrect application of the halacha. MikvahCalendar.com was the only reason that they were able to catch their miscalculation and observe Taharat Hamishpacha properly,” Bloom says. Modern Orthodox rabbis who approved it include Religious Zionists and Rosh Kollels of Eretz Chemdah, Institute for Advanced Jewish Studies in Israel, Rabbi Yosef Carmel, Av Beit Din of Mishpat VeHalacha BeYisrael and author of “Tsofenat Eliyahu,” and Rabbi Moshe Ehrenreich, Dayyan in the Conversion Court of the Chief Rabbinate of Israel and senior lecturer at Nishmat. With already more than 60,000 users in their database, the newest update has the potential to reach vast communities in several languages, virtually wherever they are. In addition to allowing computer and smart-phone users the ability to access their calendars on the go, the website is now available in English, Hebrew, French, Russian and Spanish, while also catering to nuances of Sephardic, Ashkenazic, Chabad and Modern Orthodox customs. Offering the first two months free, a nominal yearly membership fee of 18 dollars covers costs such as graphic designers, text reminders, hosting and translating fees.